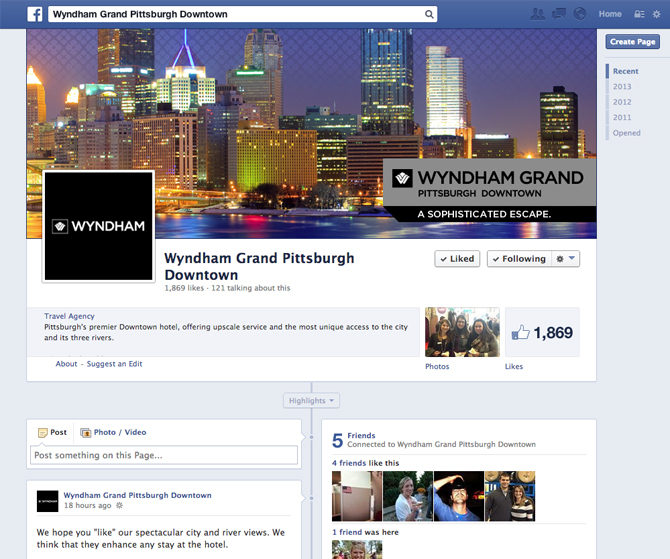 To stay competitive in an increasingly digital world, it was critical that social media platforms continue to be included and actively leveraged in Wyndham Grand Pittsburgh Downtown’s marketing communications plan. 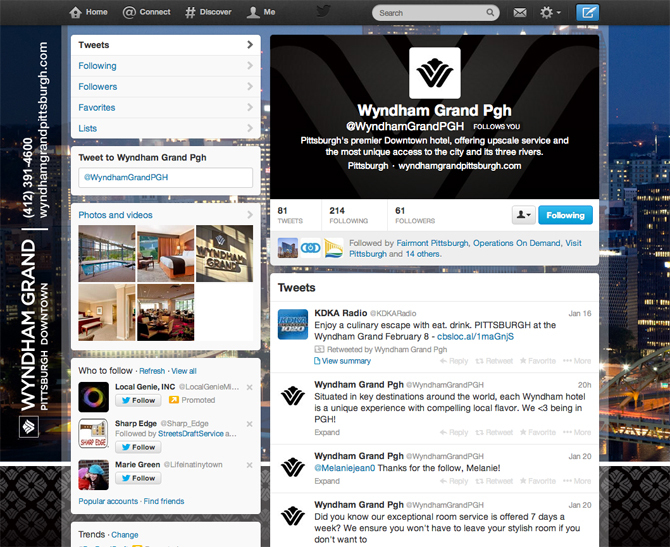 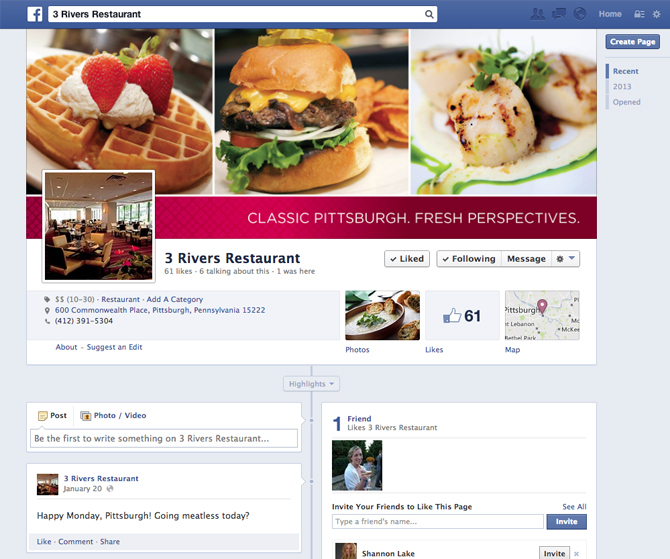 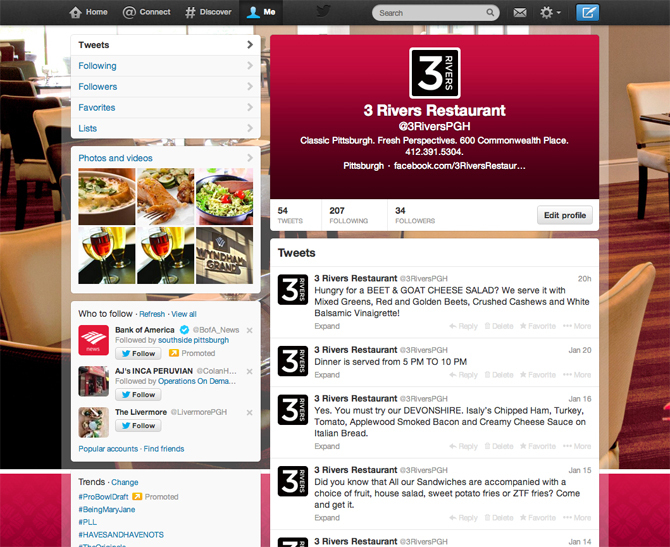 FSC recommended that the Wyndham Grand and its corporate and Food and Beverage assets, like 3 Rivers Restaurant, substantially increase activity in order support the re-launch of the hotel and provide an informational and interactive web presence in place of a localized corporate website. 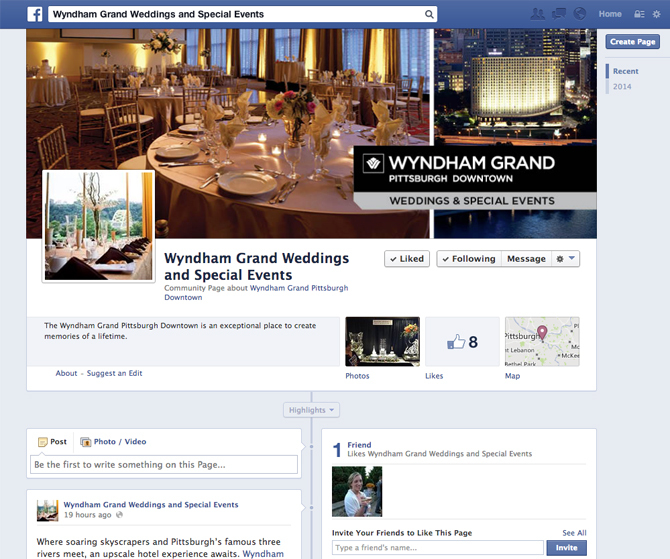 By continually posting new, relevant and engaging content to Facebook, Twitter and LinkedIn the Wyndham Grand Pittsburgh not only raised brand awareness, but gained the ability to drive more interest to the property and its offerings with the goal of ultimately converting fans and followers into customers and build loyalty.